2: That may be causing her to be unresponsive now. She's not responding to anything doctors say. Doctors from ICU coming to check her soon. Whatever the circumstances, let's say a prayer for this lady. Don't know her, but wishing her speedy and 100 % recovery. Trinidad and Tobago female cyclist Keiana Lester is in “serious” condition after being involved in a road accident yesterday morning. Keiana’s Sonics Cycling Club coach Roger Frontin said the 19-year-old Arimian sustained injuries to her head, face, hip and knees and was semi-conscious immediately after impact, following a head-on collision with a motor vehicle that had drifted out of its lane and into an oncoming bunch of cyclists. Frontin said that on an overcast morning minutes before 7 a.m. yesterday, Lester, along with a group of seven of her Sonics Cycling Club teammates, was completing a slow recovery training ride being led by T&T Rio 2016 Olympian Njisane Phillip. The ride began in Siparia and was destined for Icacos. Frontin said the cyclists were proceeding in single file from Buenos Ayres to Erin yesterday when the accident occurred. While female cyclist Keiana Lester continues to be treated for her injuries following a road accident on Saturday, an appeal has been made to Government to legally establish designated cycling lanes to protect riders. Nineteen-year-old Lester, a two-time Pan American Juniors sprint medallist, is now warded at the San Fernando General Hospital with neck and hip injuries after being struck by a car while on a training ride with members of her Rigtech Sonics club between Buenos Ayres and Erin. Contacted by the Express yesterday, Lester’s mother, Mary Layne said her daughter was “a lot better,” and had been moved out of the resuscitation room to a ward. “Surgery was done late last (Saturday) night to put a pin in her leg to keep her hip in place,” Layne explained. 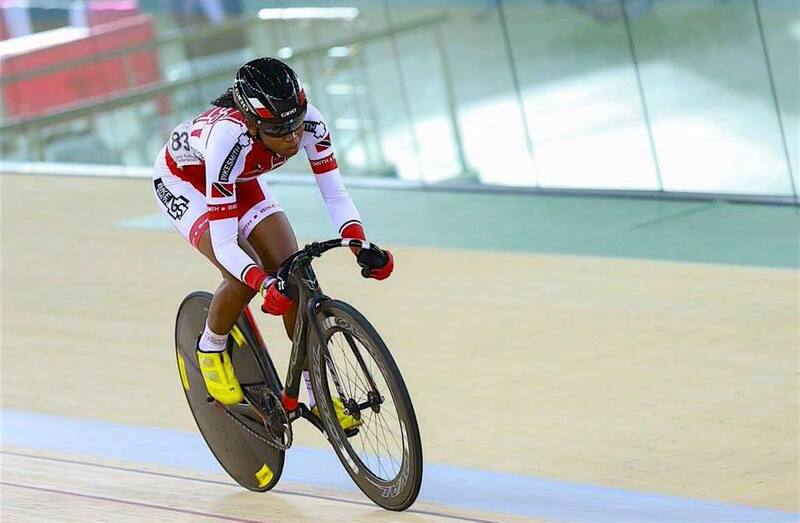 Two days after a crash left her unconscious, cyclist Keiana Lester is now stable and communicating with family, friends and well wishers, new T&T Cycling Federation's Public Relations Officer Roxanne Ramnath said yesterday. The 19-year old cyclist who is carded to go to training at the World Cycling Centre in Switzerland in April next year with her compatriot Kollyn St George, was on Sunday transferred to a ward at the San Fernando General Hospital, following a surgery on her hip. On Saturday Lester was hit by a car while training with the Rigtech Sonics Cycle Club in Erin ahead of her training stint in Switzerland. Yesterday she was still sporting a neck brace with pins installed at her legs to support her hip. The accident has since revived calls for a special lane for cyclists to train on the nation's road ways. Ramnath described the accident as unfortunate, saying all is being done to assist the cyclist with her recovery. Lester, a two-time Pan American gold medallist has been touted as one of T&T's bright prospects in the sprints, having shown explosive speed in the sprints events for the past years. Her scheduled training stint in Switzerland came via an invitation from the world governing body for the sport- UCI, which expressed satisfaction with her ability, as well as that of St George. As such the stint is geared towards assisting their development in the future. God Bless, and full recovery! Sad news, I hope she recovers back to full strength.